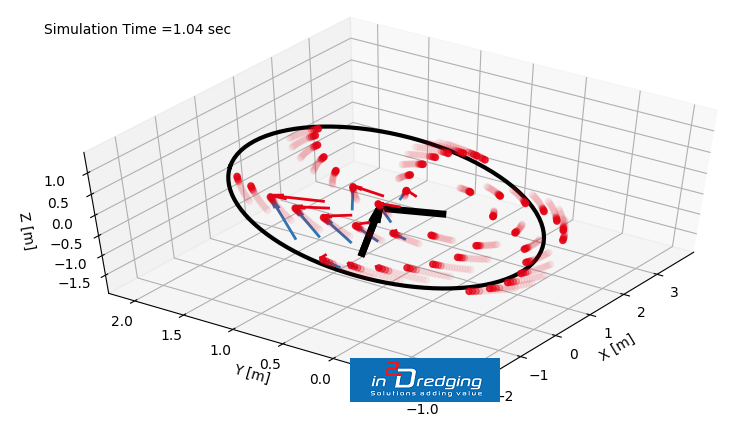 The Subsea Rock Cutting (SRC) tool estimates cutting production for dredging or mining equipment that mechanically cuts rock in a subsea environment. 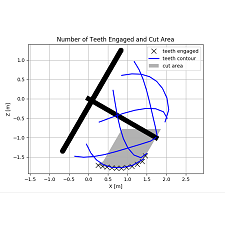 The program uses a finite difference model, which accurately simulates the cutting equipment’s three-dimensional teeth trajectories and their interaction with the rock face. At the heart of SRC there is also a unique empirical rock cutting model that has been developed using decades of literature and physical and numerical modelling, and has been validated with field measurements. SRC calculates the resultant force on equipment thus allowing the identification of all production limitations. For example, the production of a cutter suction dredger is usually limited by its cutter power. However, in rock, often the ladder weight, spud pole or side winch may also limit the production due to the resultant cutting force. To design high performance cutting equipment it is essential to calculate the resultant force reliably, so that any additional components added to the cutting equipment can counteract the resultant cutting force and achieve the production rates foreseen in feasibility studies. Cutting rock is a complicated physical process and many physical cutting models exist that describe the cutting processes for various applications. 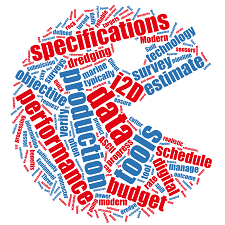 With SRC, only the most significant rock properties are used as input parameters, which provides a more accurate production estimate. The tool has already been developed by i2D and is ready for use. Any subsea cutting equipment can be modelled with SRC thanks to its generic setup and its use of advanced mathematics, elements which also provide SCR the flexibility to suit any subsea project or equipment. SRC estimates production rates reliably, thus transforming your production estimate into a reliable schedule or robust cost estimate.